According to hospital officials his antibiotics were adapted to the new scenario but the breathing and walking exercises were maintained. RIO DE JANEIRO, BRAZIL – Ten days after undergoing surgery to remove a colostomy bag and reconstruct part of his intestines, Brazil’s President Jair Bolsonaro, recorded fever and signs of pneumonia, according to a medical report released this afternoon by the Albert Einstein Hospital in São Paulo, where the president remains hospitalized in a semi-intensive unit. President Bolsonaro has developed pneumonia while in the hospital, photo internet reproduction. “He presented, last night, an isolated episode of fever without other associated symptoms, underwent chest and abdomen tomography, which showed a good evolution of the intestinal condition and an image compatible with pneumonia,” read the latest medical bulletin issued by the hospital on Thursday afternoon. Shortly after the President’s spokesman, Otavio do Rêgo Barros, released the news about the President’s health condition, Bolsonaro went to his Twitter account to say that he was well. “We are very calm, well and we stand firm,” stated the President, closing the text with a positive signal. According to his doctors, Bolsonaro’s visits remain restricted. His Minister of Justice, Sergio Moro, was in the city of São Paulo on Thursday, but due to the restrictions did not visit the President. Barros said, however, that Bolsonaro has been keeping in touch with his cabinet members. He spoke on the phone with Environment Minister Ricardo Salles on Thursday and is expected to speak with Economy Minister, Paulo Guedes, on Friday. 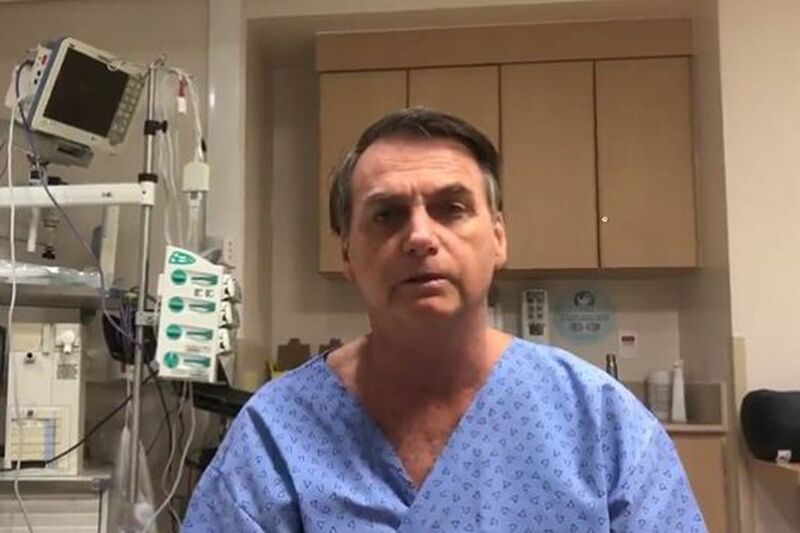 Bolsonaro’s surgery is part of the reconstruction of his abdominal region, injured when he was stabbed by a knife-carrying man in September of 2018 during a Presidential rally in Minas Gerais. Doctors, who before the surgery had stated that the President would remain in the hospital about ten days, now say there is no longer a timetable for his release.